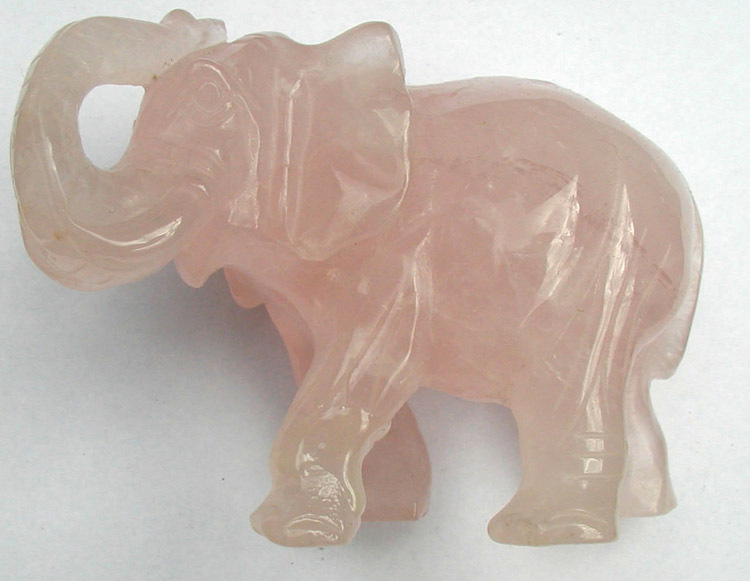 Rose Quartz is a variety of quartz easily recognized from its pink color. It has the overall chemical formula of silicon dioxide, SiO2 - the same as regular quartz - but is generally believed to gain its pink coloration from traces of titanium, iron or manganese ions. However, this idea has been challenged by recent research, which as suggested that the color of rose quartz may often be due to microscopic, fibrous inclusions of dumortierite or some related mineral. It's interesting to note that even now, the chemistry of rose quartz is not completely understood, which is surprising for such a well known stone. 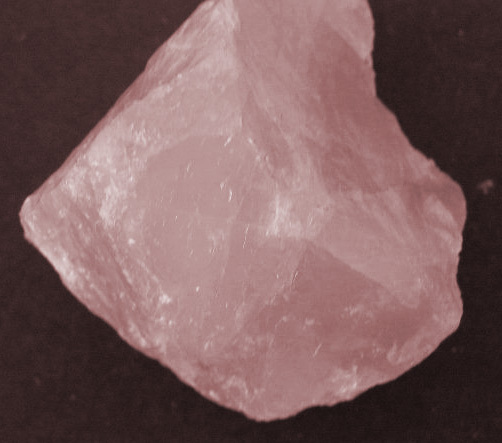 Rose quartz can occur as crystals but these are uncommon and are named pink quartz as opposed to rose quartz. Rose quartz is most often seen in the form of massive - often in sizable chunks of pure rose quartz stone. As it is by nature cloudy and very brittle, rose quartz is not as commonly faceted into gems, but is often carved into shapes - especially heart-shaped stones, spheres, cabochons, statuettes and obelisks. Rose quartz has been nicknamed the "Shaman's Pillow" and this is indicative of both the size of specimens that have been found, and of its status in folklore as a stone with healing qualities and one that brings restfulness, as well as clarity to dreams and visions. However, in modern times it is more commonly associated in folklore with love and affairs of the heart. It has a long history of use, and Assyrian rose quartz jewelry dating back to 600-800 BC has been found. The Romans used rose quartz to make seals. Rose quartz beads have also been found in Mesopotamia which date back to around 7000 BC.